Don’t think of your microscopic yard as a curse. So what if it’s technically a small concrete slab that baaarely accommodates a half-sized Weber grill? Or if your flagstone patio is just big enough for you, a lounge chair, and a good book? Your tiny outdoor spot is actually an opportunity to get creative. 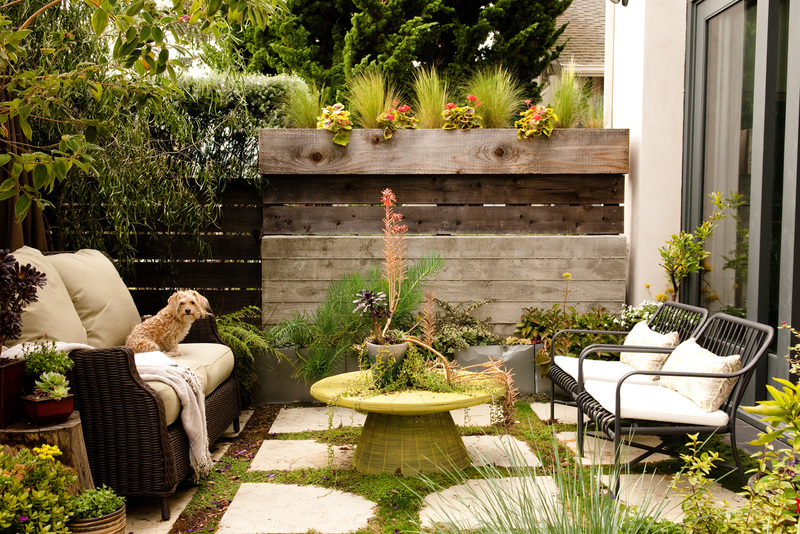 To live large with a small footprint, try these functional tweaks to make your minuscule outdoor space feel like a palatial retreat. 1. Divide the Space Wait, what? That’s right. Even if your square footage is relatively small, dividing your outdoor space into two areas can actually make it seem bigger. “Creating a space within a space makes it seem larger because it gives you a separate experience,” says Joy Diaz, chief marketing officer at Land Care Inc.